Invokana and other Type 2 diabetes drugs known as SGLT2 inhibitors are coming under fire because of a possible link to ketoacidosis, a serious condition that occurs when toxic acids called ketones accumulate in the blood. U.S. health regulators are now investigating the potential for Invokana to cause ketoacidosis, and have cautioned all SGLT2 inhibitor patients to be on the lookout for the signs and symptoms associated with this potentially deadly condition. Brought to market in 2013, Invokana was the first SGLT2 inhibitor approved for sale in the U.S. Canagliflozin, its active ingredient, is also available in combination with metformin, and is sold under the brand name Invokamet. Other SGLT2 inhibitors approved since Invokana’s launch include Farxiga (dapagliflozin), Xigduo XR (dapagliflozin and metformin extended-release), Jardiance (empagliflozin) and Glyxambi (empagliflozin and linagliptin). In May 2015, the U.S. Food & Drug Administration (FDA) announced that it was reviewing 20 cases of acidosis (diabetic ketoacidosis, ketoacidosis, or ketosis) in patients treated with SGLT2 inhibitors from March 2013 to June 6, 2014. 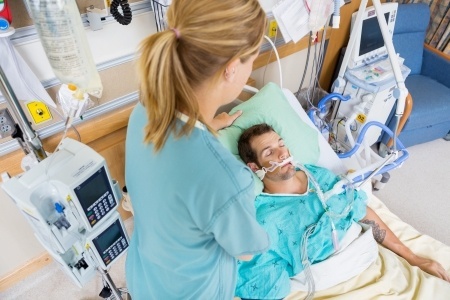 All patients required emergency room visits or hospitalization to treat the ketoacidosis. Diabetic ketoacidosis usually develops when insulin levels are too low or during prolonged fasting. The condition most often occurs in patients with Type 1 diabetes and is usually accompanied by high blood sugar levels. However, the reports linking SGT2 inhibitors such as Invokana to ketoacidosis were unusual, in that the majority of patients had Type 2 diabetes, and blood sugar levels, when reported, were only slightly increased. Since the FDA issued its alerts, regulators in other countries, including Canada and Europe, have announced safety reviews for SGLT2 inhibitors. According to the European Medicines Agency, at least 101 cases of ketoacidosis have been reported globally among patients taking these drugs. The FDA has advised doctors to stop SGLT2 inhibitor therapy after an individual is diagnosed with ketoacidosis. However, patients should never stop taking their diabetes medication without first consulting their physician. Treatment for diabetic ketoacidosis usually includes fluid and electrolyte replacement, as well as insulin therapy. Type 2 diabetics who were diagnosed with ketoacidosis while using Invokana or another SGLT2 inhibitor may be entitled to compensation for their injury-related damages, including medical bills and lost wages. To learn more, please contact our legal experts today by calling.